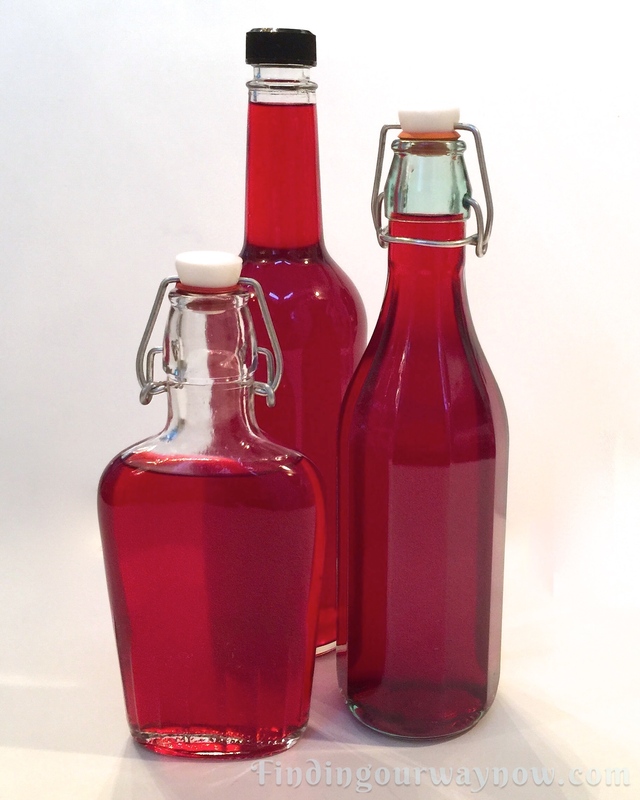 Have you ever had Homemade Cranberry Orange Cordial? I’ve always loved fresh cranberries. Sadly, we can only get them at certain times of the year. For me, cranberries harken to fall, holidays, food, and fun with family and friends. When cranberries start to appear in my market, I buy quite a few bags. I freeze a few for later use and keep the rest for recipes around the various holidays. When I think about it, aside from the traditional cranberry sauce, there are so many ways to use cranberries. 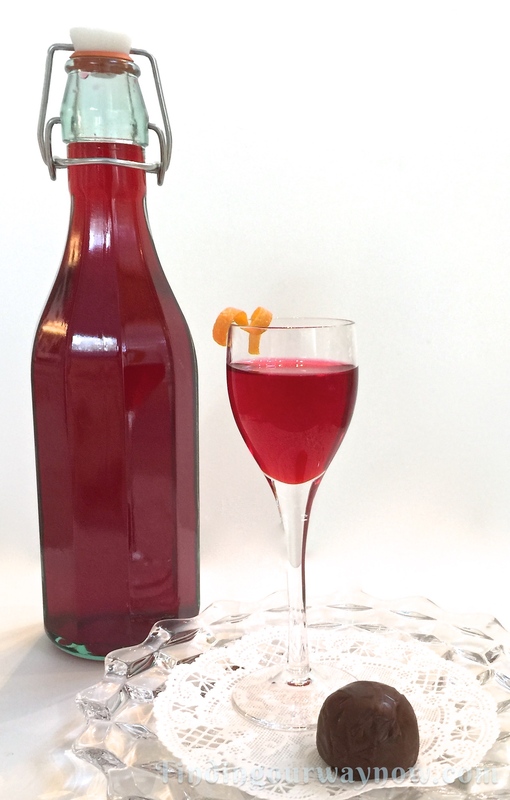 One of my favorites is this Homemade Cranberry Orange Cordial. It’s so easy to make. When it’s finished, the color and taste are something special. If you’re a fan of cranberries, then this is a recipe you must try. Wash the cranberries discarding any bad berries or debris. Roughly chop the cranberries by hand or in a food processor. Zest the orange, making sure any pith is removed. 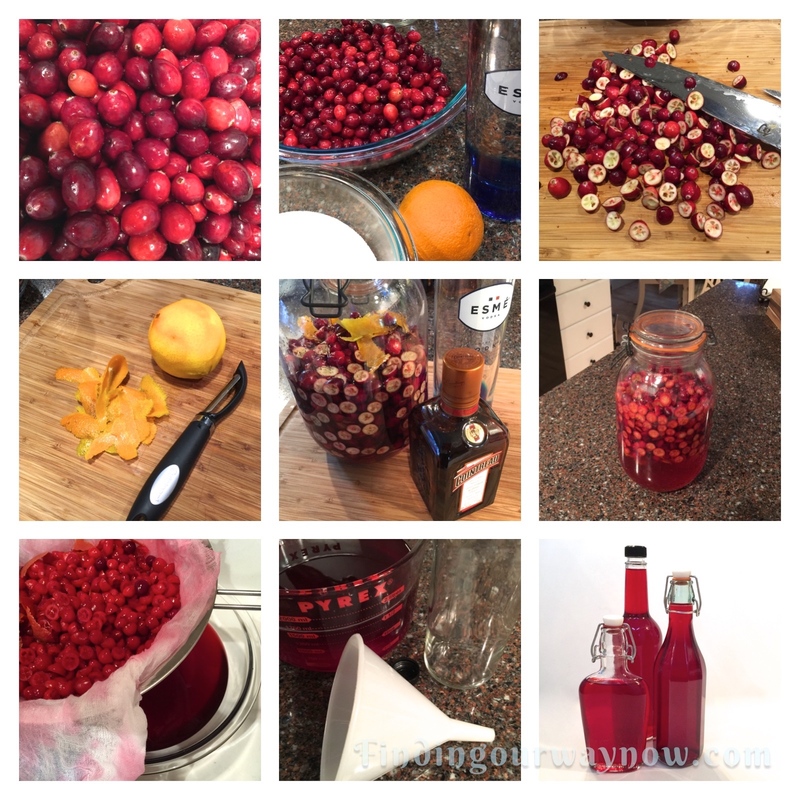 Place the chopped cranberries and orange zest in the large clamp down lid jar. Pour the vodka and orange liqueur over the cranberries and clamp the lid in place and set aside. In a medium saucepan, combine the water and sugar. While stirring, bring to a boil. Reduce the heat to a simmer and continue to stir until the sugars are completely dissolved making a clear, simple syrup. This will take about 5 minutes. Move the simple syrup from the heat and allow it to cool until it’s reached room temperature. Add some of the cooled simple syrup to the cranberry orange vodka mixture and taste. Continue to add additional (or remaining simple syrup) to your taste. Clamp the lid back in place and vigorously shake to combine. Let the mixture stand in a cool dark place for at least 2 weeks. Within that time, periodically shake the jar to help infuse the cranberry flavor. Strain the mixture through a double layer of cheesecloth into a bowl. Discard the cranberries and zest. If needed, strain a second time to ensure all the residue is removed. Pour the Homemade Cranberry Orange Cordial into decorative bottles, add a label and a bit of ribbon and you’re ready to serve or give it away as a gift. It’s good to refrigerate it before serving. The longer it ages in the bottle, the better it gets. You can store it in the refrigerator or freezer for up to 1 year or more. Variation: If you prefer to make just a Cranberry Cordial, omit the orange liqueur and orange zest and add an additional cup of vodka in their place. Notes: As always, the fresher the cranberries the better for this recipe. Frozen cranberries can be used in place of the fresh if you’re in a pinch. If want to omit the Orange Liqueur add a few zest from about 4 to 5 oranges. Note that this will provide a more subtle orange background note to the cordial. When zesting the orange/oranges, it’s important that you remove all of the bitter white pith from the rind of the orange/oranges to avoid imparting a bitter background note in the liqueur. A top-shelf Vodka isn’t necessary; smooth, medium quality vodka works nicely. If you’d like to have some of this cordial available beyond the holidays, I would recommend making a double or triple batch. 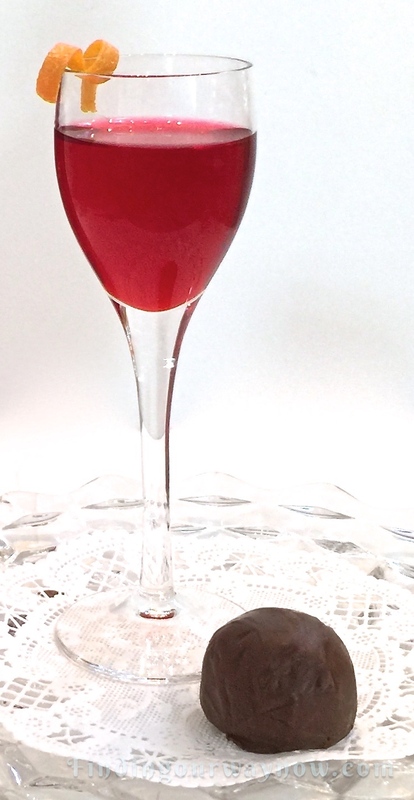 Can you think of anything better than Homemade Cranberry Orange Cordial for the holidays or special occasion? If you love cranberries, then I think the answer would be no. I know what you must be thinking; will she ever stop making homemade liqueurs? Only time will tell… LOL. Cheers. If you enjoyed my “Homemade Cranberry Orange Cordial,” check out my Homemade Limoncello, Homemade Coffee Liqueur, or my Homemade Creme de Mint. Enjoy.